Illus. in full color. "Magic, humor, and an unusual ending make Pretty Good Magic pretty good fun. 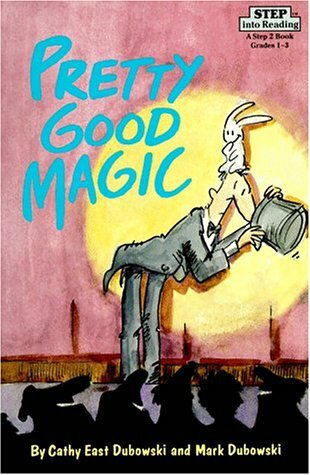 The text hops along with the overabundance of rabbits that Presto (a 'pretty good magician') has produced. Beginning readers will delight in the trouble that the rabbits and Presto get into in the quiet town of Forty Winks. Whimsical illustrations add to the overall success of this book." --School Library Journal.